Adonis Leathercrafters is a top quality leather manufacturing company. They are located on the west coast of central Florida. They create accessories and clothing to wear when you hit up a leather gay bar. Adonis produces the best and highest quality leather products. They make sure their customers are satisfied. Many of their products are invented and totally designed by Adonis. Many items are unique and sometimes one-of-a-kind. Adonis does not use nickel-plated rings as they tarnish easily. They use stainless steel rings and buckles as well as chrome ornaments. They use nickel-plated metal if stainless steel is unavailable. Adonis Leathercrafters also does custom leather work. The process starts with calling and going over your design and ideas. Leathermakers are hard to find in a day of automation. The difference with Adonis Leathercrafters is our products are hand-made, one at a time at our facility in the USA. They HAVE ONE OF THE LARGEST VARIETY OF ORIGINAL LEATHER PRODUCTS AND DESIGNS than any other manufacturer. They are constantly designing and adding new products regularly. Most orders are manufactured by Adonis from the time of ordering. This gives you a fresh custom leather product. Quality and service is our business and motto. Cristoph’s Tampa is proud to promote Adonis Leathercrafters. 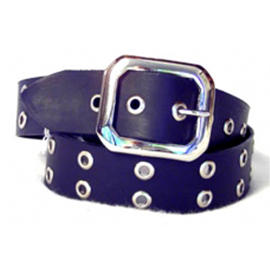 Check out Adonis Leathercrafters for a wide array of top quality leather, toys, and accessories.